France in London | Why are French Children always well dressed? Why are French Children always well dressed? UK consumers typically spend over £300 per annum on clothing for their first baby in its first year. 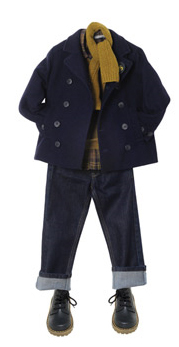 At 13 children reached the "tipping point" and reject "mini-me" children's wear in preference for adult fashion. It is no longer a secret, kids like to be cool! Gone are the days when the fashion for kids was minimalist and parents chose what they wore. Nowadays, children follow the trends: baggy, boho, grunge or preppy…They have their own fashion and they set their own rules. I fondly remember that when my twin girls were born, I wanted them to look absolutely immaculate. The idea of them looking scruffy or not wearing coordinated clothes was something that I could never envisage. At the time, I was not asking myself why this had practically become an obsession. In comparison my English friends were much more relaxed about what their kids were wearing and were quite happy to find the cheapest outfits on offer, quite happy, even, to accept shoes and clothes which their friends’ children had already worn. This was over 20 years ago and things seem to have changed dramatically since then. What was once a very small fashion market has since grown into something of a whole other level. The reality is, that parents are getting older, have a larger disposable income and are much more fashion conscious. In some cases, it is fair to say that children have practically become their own fashion accessories. British parents never had to think about what their children would wear to go to school and children did not used to be taken out to restaurants and pubs. All this is a thing of the past. Where parents go, kids follow and therefore, they have to be dressed appropriately. The French, whether it is for themselves or for their children, tend to be a lot more traditional in what they would or would not wear. Forget all the bright pinks, apple green and orange, mixing stripes, flowers and tartan, jeans with holes or brightly coloured shoes. The French are not into this style of clothing. They want their little girls to look like little girls and their little boys to wear coordinated clothes and wear proper shoes. Well, to all British mothers’ excuse, let’s say it is a little bit of a cultural thing in France that a French mother would never put on a piece of cloth on her child that she would not wear herself. Until recently this was not really a concern in the UK, therefore the childrenswear market has developed completely differently. All the nice French labels such as Berlingot, Petit Bateau, Absorba, Chipie, Lili Gaufrette, Clayeux, Eliane et Lena and much more have no equivalent here, i.e. childrenswear specialists, which have been designing baby and children’s clothes for decades, combining comfort, practicality and style. There is another specificity about French childrenswear: it is really about fashion and mothers talk about fashion and trends for their kids as they do for themselves. Childrenswear trends are often very much inspired from womenswear fashion. Which is the reason why black and dark colours such as aubergine and chocolate are very strong for little girls in this autumn collections. Yes they are. I personally could not believe that stylish jackets started from 6-month size: never too small to be trendy…! In France, there is also a big emphasis on what children are allowed to wear and not wear at school. 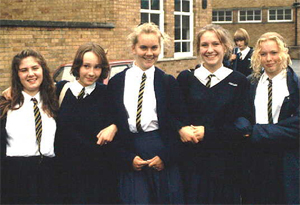 Don’t forget that uniforms have been a thing of the past over there since 1968 when most of the school reforms took place. However, I found out recently that more than one school in Paris has a zero tolerance policy when it comes to what children have on to go to school. If kids arrive with holes in their clothes or are inappropriately dressed, they are asked to cover up the offending outfit with a grey smock/overall all day and are forbidden to play with the other kids at break time. Drastic? I would say so… but it works. Are parents complaining about it? No. They like the strict regime and believe that having rules is good for their children. Simply stand outside the French Lycée in South Kensington and you will understand what I mean by French kids being immaculately dressed even to go to school. 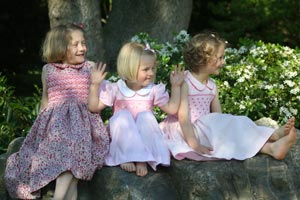 Young girls are wearing little smocked dresses, with little white socks and proper little shoes. The boys are in ribbed trousers or slacks that match their shirt and socks (let’s not forget the socks). When my girls were there, making sure they were well dressed involved me bulk buying French brands every time I returned to Paris. Thankfully, parents no longer have to fork out for a return ticket to Paris in order to dress their kids. So how do they do it now? Having investigated amongst my friends with younger children, I have discovered that two of the go-to companies are Bibaloo and Patrizia Wigan. If only I had had them then! www.bibaloo.com was born precisely to fill that gap in the market. When Laurence, a French mother of two, residing in Scotland, decided to approach her preferred French labels and created a website to distribute them in the UK. It was an immediate success and for good reason: dozens of French babies and children’s labels from 0 to 8 years, were just a click away! 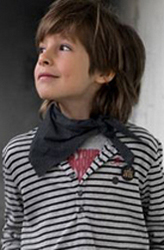 Patrizia Wigan, although not French, specialises in the classic styles which are always in favour with French mothers. Patrizia Wigan has long been established as a designer of children's desirable must haves, specialising in the luxurious, the unique and the timeless. Perfect as hand-me downs. The classic English style is relaxed, the cuts are comfortable, the fabrics are chosen from amongst the most precious around. Each piece is designed in house and manufactured with care in specialised workshops. I am now looking forward to my daughters having babies and indulging in buying clothes for my grandchildren. Broody? Never! Je comprends c'est la galère lorsque habite dans une grande ville ou tout est cher. 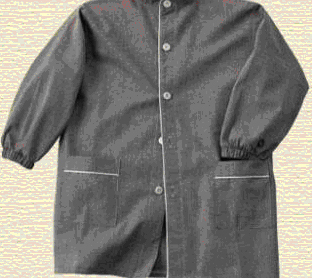 Toutefois j'ai découvert sur internet des vetements enfants haut gamme chic et classique et à la fois super moderne. je comprends votre commentaire car moi-aussi, j'ai franchi souvent la frontière pour habiller mes enfants. Aujourd'hui, j'ai créé la marque Bbk, vêtements et accessoires hauts de gamme pour les enfants, fabriqués en France. Je vous invite à découvrir l'univers Bbk. Cet article doit faire référence aux enfant de Paris, car dans les villes de province les mamans française disent qu'il ne vaut pas la peine de dépenser beaucoup d'argent pour habiller les enfants et elles achètent surtout dans de grandes surfaces. L'article m'a beaucoup étonné parce que je suis une espagnole installé dans le sud de la France depuis 6 ans et j'habille mes filles en Espagne parce que ici à part le 4 marques connues il y a rien. Le gens m'arrêtent dans la rue pour me dire que me filles sont très bien habillées et me demander ou est ce que j'achète ses habilles. Mais, est ce que ils sont prêts à dépenser ce qu'on dépense les espagnoles pour habiller nos enfants? Je n'y crois pas car même si le personnes que je fréquent, autant au travail que en dehors le travail son de classe moyenne, moyenne haut j'entend toujours le même discours "ça ne vaut pas la peine de trop dépenser parce que ils grandissent très vite" Eh, oui, ce pour cette raison que il faut bien les habiller quand ils sont petits parce que bientôt ils nous laisserons pas choisir.